OmniUpdate, a longtime partner in higher education website development and vendor for OUCampus content management, came to Kanner Kreative looking for a more user-friendly, intuitively-architected solution for their support website. Through various methods of gathering user feedback and working with OmniUpdate support staff, the solution resulted in a more intuitive navigation structure and website architecture. The internal development team at OmniUpdate used Twitter Bootstrap to develop the site. 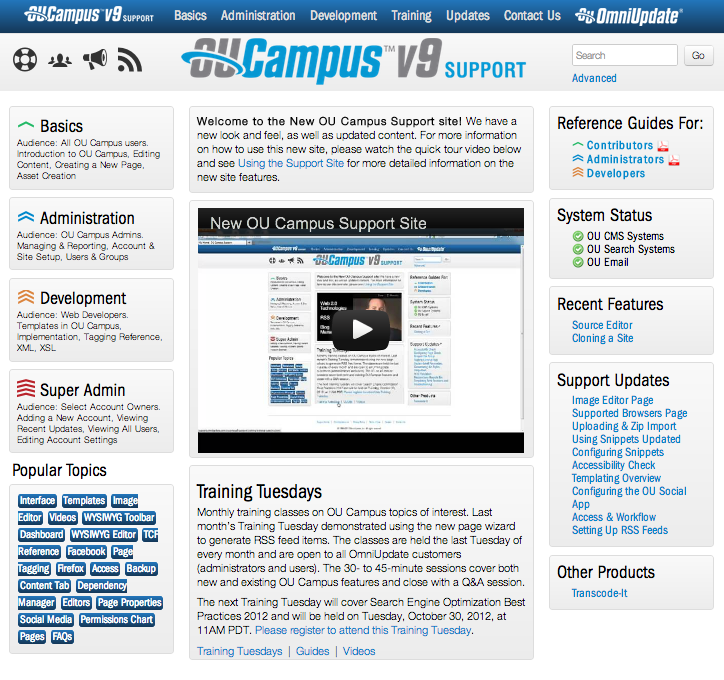 Feedback has both OmniUpdate support staff as well as clients of OUCampus happy with its usability, navigability and presentation. Kudos and recognition for Kanner Kreative’s efforts were shared at the 2013 OmniUpdate User Conference.